I love making tacos with turkey meat. Such a healthy alternative. 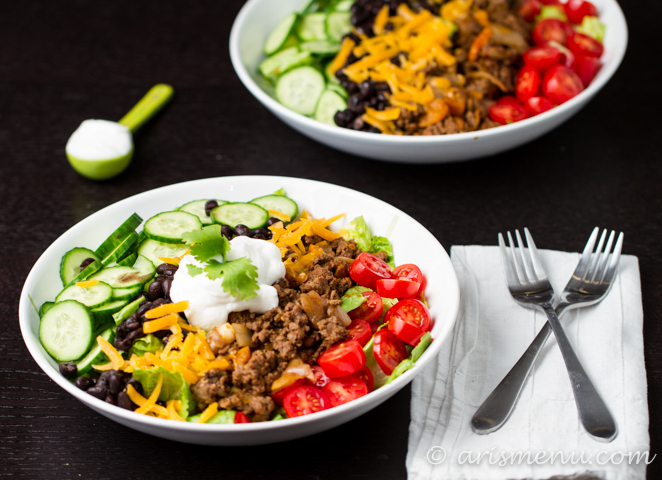 We don’t usually have salads for dinner but this would be a nice twist on the regular tacos. 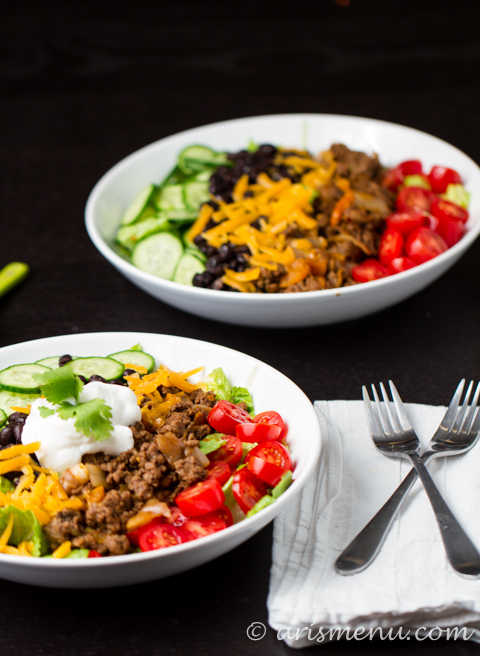 I love taco salads… looks like I have a new version to add to my mix! oooh we love our ground turkey too…. taco salads are the best because you can do so much with them and they’re so colorful!! Yum! 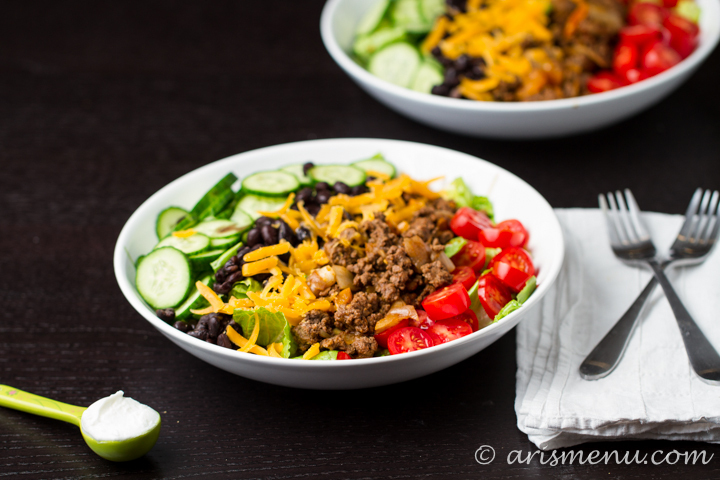 I love taco salads and how you can make them in so many quick different ways! 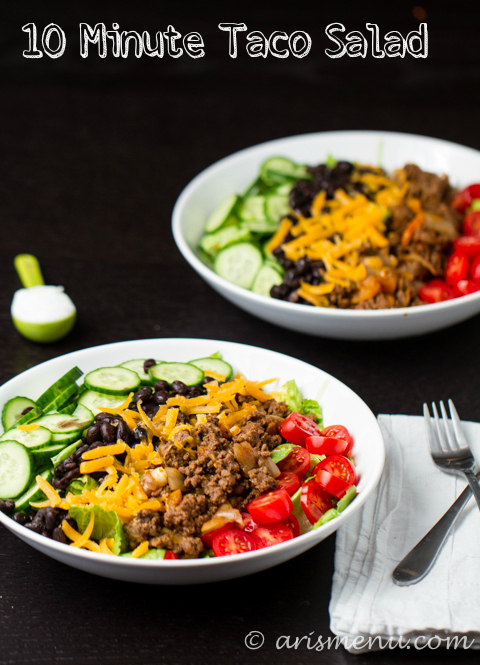 Taco salad is such an easy meal to toss together! And so is making your own taco seasoning! I like knowing what all is in my food, so making my own season blends is a plus. It’s so easy to find recipes for seasoning blends online, now, I don’t know why anyone would buy them! ok THIS is something I will totally make. Over and over again! Love dishes like that, Ari. The only thing I make over and over again right now is homemade hummus and homemade peanut butter lol. MMM look delicious and I love that it is made with ground turkey!! I’ll make sure to use cinnamon when we try it!